Discover the rich history and colourful character of Bath, an idyllic and quintessential charmingly British city. Your stay at Macdonald Bath Spa Hotel 5* places you right in the heart of historic Bath. This hotel features an award-winning restaurant so why not indulge without even leaving the premises. Start your day exploring this idyllic and quintessential charmingly British city with a stroll through Royal Victoria Park. Admire the blooms, manicured gardens, and sculptures, and after visiting the famous Royal Crescent, make your way to The Roman Baths. On a guided tour or solo expedition you can learn about the rich history of Bath and its roman origins. Marvel at this natural wonder that utilises the area's natural Springs and reveals long-pondered mysteries of the Romans' architectural and design feats. Afterwards, grab lunch on its fashionable high streets and catch a spot of culture at the Fashion Museum or Holburne Museum before finding a quaint, bunting-adorned tea room for an afternoon cuppa. Bath is also increasingly recognised for its upscale shopping and burgeoning dining scene. 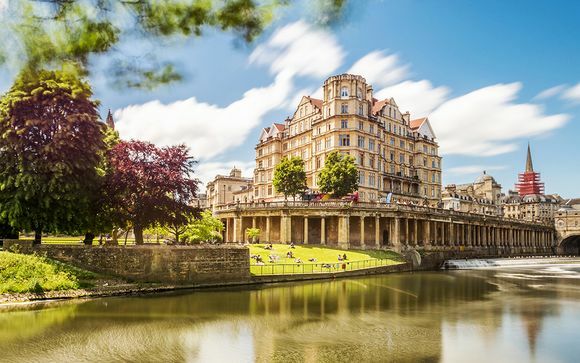 Indulge in upscale cuisine at a haute cuisine restaurant, or grab a fruity cocktail in a trendy bar - your days in beautiful Bath will leave you breathless! Leave the worries of every day life at home and step into a Georgian fairy tale come to life at the elegant and historic Macdonald Bath Spa Hotel. 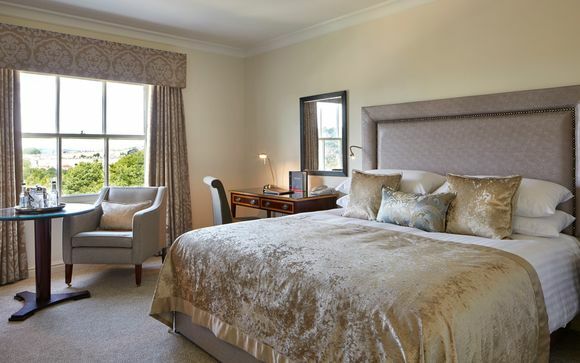 Surrounded by the idyllic Somerset countryside including its own regal manicured gardens and just a ten minute walk from Bath Abbey, the Macdonald Bath Spa Hotel 5* is a luxurious slice of quintessential English countryside style. 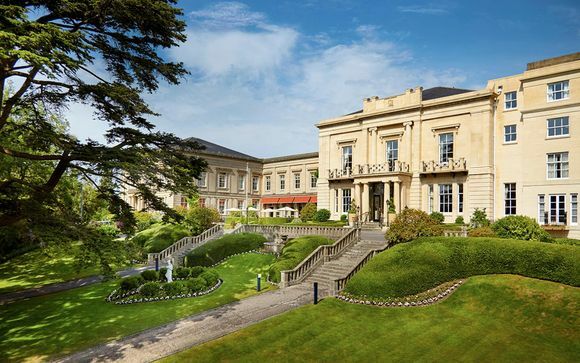 In addition to story-book fountains, a pond and terrace, the Macdonald Bath Spa Hotel features luxury marble and mahogany decor to create a truly classic ambiance. Spend your days wandering the gardens, indulging a pampering treatment or massage at the sumptuous spa, diving in to the swimming pool, soaking in the outdoor hot tub, or simply relaxing and enjoying your picturesque surroundings. 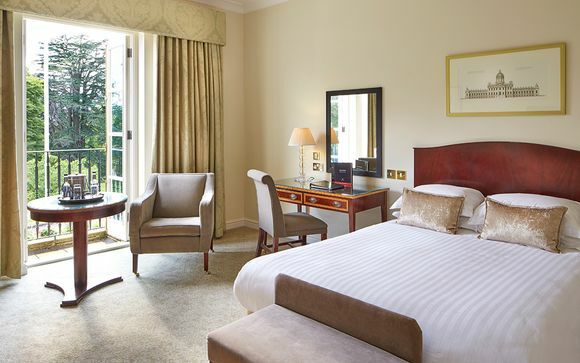 Our members can choose between a Classic Room or a Garden View Room. After a day exploring Bath, return to the hotel and make your way to your perfectly serene retreat. Your Classic Room is elegantly designed to offer a blend of comfort and peace in a picturesque environment. Perfectly blending traditional decor with modern elegance, here you will find a comfortable bed, large desk, tea and coffee making facilities, an en suite marble bathroom, a flat screen satellite TV, and unique touches to make your stay in Bath truly memorable. These peaceful rooms offer a breath-taking view over the hotel's expertly landscaped gardens. With generous workspace and plenty of space to spread out, they are an excellent place to unwind and be inspired in this fascinating city. 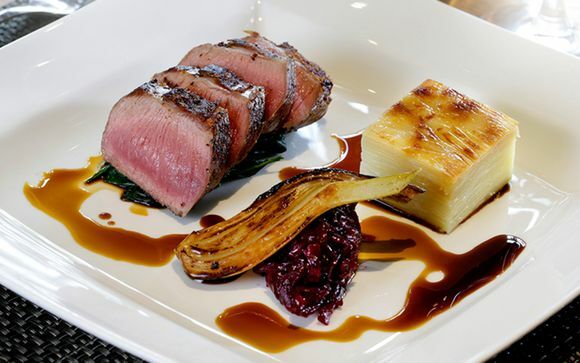 With an emphasis on upscale cuisine and carefully crafted dishes, dining at the Macdonald Bath Spa Hotel is more than just consuming high quality food and beverages - it is an Award Winning Experience. A double AA rosette award winner, the Vellore Restaurant is an elegant and inviting on-site restaurant with a beautiful canopied outdoor terrace. Here you will find delicious menus combining the best in traditional and modern English fare with fine seasonal ingredients that are complimented by an impressive wine list. Enjoy Afternoon Tea at the Drawing Room where you can enjoy comforting sip of fine tea in a refined atmosphere accompanied by views of the garden. Indulge in Afternoon Tea, a quintessentially English past time, in this beautiful atmosphere. The Colonnade and Rotunda Bars are newly refurbished and stylish surroundings, ideal for a relaxing drink or a light meal. Sniff, sip, and swirl on a wide variety of aperitifs, digestifs, cocktails, champagnes, and amragnacs as you while the night away after a satisfying meal. Treat yourself to relief from the stresses and strains of everyday life and sample one of the most sensuous and healing spas in all of bath. At the Macdonald Bath Spa Hotel you will discover a haven of refreshing spa treatments in state of the art facilities. Here you will find an inviting balance of luxury and tranquillity, with staff or trained experts standing by to help you relax and unwind. Our members are also invited to visit the upscale gym and fitness facilities. Under the helpful guidance of trained therapists, here you are able to make use of individually tailored health and fitness programs designed by expert staff. 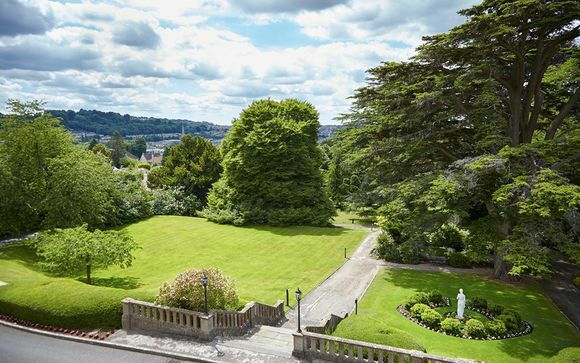 Distance between Macdonald Bath Spa Hotel & Bath Train Station: 10 minutes / 2km.